Mario Queiroz and Rick Osterloh of Google, HTC CEO Cher Wang and CFO Peter Shen at today’s press conference at HTC headquarters. The $1.1 billion cooperation deal announced today between HTC and Google ended months of speculation, but prompted new questions. Chief among them is how exactly will the agreement affect HTC, which has dealt with a series of setbacks and lackluster earnings over the past few years. 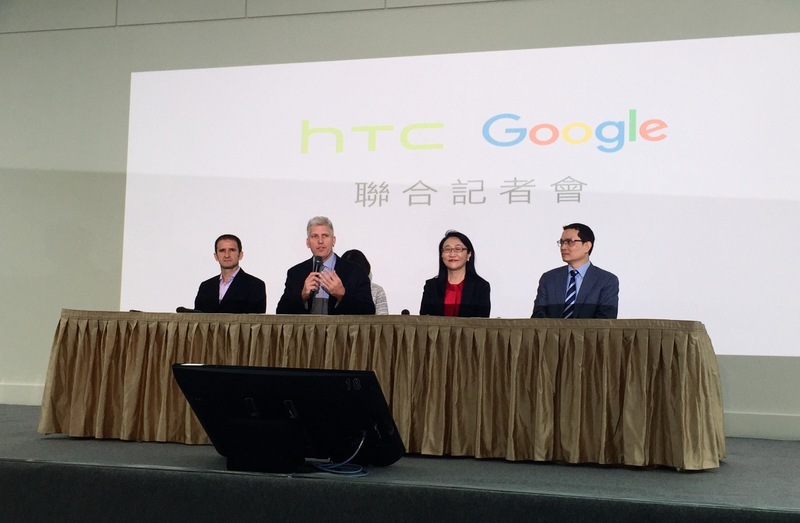 In a press conference today at HTC’s headquarters in Xindian, New Taipei City, the company said it remains committed to its own products, including smartphones and Vive, and will continue developing them even after 2,000 HTC employees—nearly a fifth of its current staff—move to Google as part of the deal. Chief executive officer and chairwoman Cher Wang and chief financial officer Peter Shen represented HTC at the press event, while Google was repped by Rick Osterloh, senior vice president of hardware, and Mario Queiroz, vice president of product management. The deal, which is expected to close by the beginning of next year pending regulatory approval, stipulates that HTC will receive $1.1 billion in cash from Google. About 2,000 HTC employees, many of whom had been working on the Pixel smartphone, will join Google. In addition, Google will enter a non-exclusive licensing agreement for HTC intellectual property. The deal will help Google build its new hardware strategy after years of partnering with companies like HTC, Lenovo and Motorola Mobility (which it bought for $12.5 billion in 2011) to develop devices. Furthermore, the 2,000 employees that will receive offers to move over to Google represent about 19 percent of HTC’s total workforce (according to its site, it had 10,652 employees as of the end of March). When asked what it means that Google and HTC will continue to be smartphone rivals even after Google hires away such a large percentage of HTC’s tech talent, Shen said that HTC’s collaboration with Google means it will continue to work with employees who are moving over. Ironically, the Pixel isn’t available in Taiwan—or at least a launch date hasn’t been announced yet—even though HTC and Google began working together on hardware 10 years ago. While specific details about employee offers aren’t available yet, Osterloh noted that Google wants to minimize disruption to their lives and said the staffers will significantly expand Google’s presence in Taiwan, so it’s reasonable to assume that most won’t have to move to Silicon Valley. Wang said HTC will continue developing its U series of premium smartphones and Vive. Osterloh added that Google did not have any announcements about virtual reality to make today, but it remains something that it may collaborate on with HTC in the future.